Coolant System Services – Fast Change Lube & Oil, Inc. 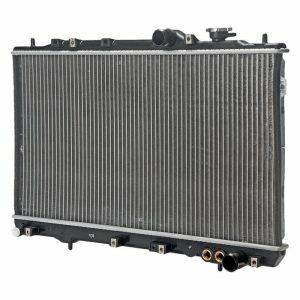 The engine cooling system in your vehicle circulates antifreeze through the engine and radiator. The antifreeze is formulated to prevent corrosion inside the cooling system and helps to maintain optimal engine operating temperature regardless of outside conditions. Replacing the antifreeze at regular intervals can help prevent overheating, freezing and premature cooling-system failures. A Coolant System Fluid Exchange is a preventative maintenance procedure that should be performed at regular service intervals specified by your vehicle manufacturer.